What's the difference between domain name and web hosting? In the complex world of digital, it can be difficult to comprehend what’s what, especially if you’re a small business just starting out. The first step to establishing your business online is finding a home for your brand and purchasing your online real estate. However, even that can be a mammoth task if you’re not sure where to start. 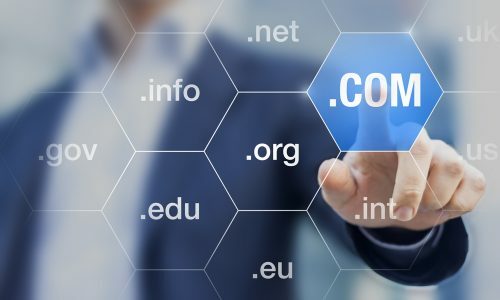 A domain name and web hosting are essential in forming the foundation of your business’ online presence, but what’s the difference between the two? Your domain name is unique to your business and is the most direct way for visitors to find you. Just like renting a house to call your home, you can ‘rent’ a domain to use as a base for your business. The domain name you choose for your business works like your street of your business location. It forms the core of the URL address that visitors use to access your website. If your domain name is like your street address, then your domain extension is like your street number. However, rather than coming first, your domain extension comes after your domain name. For example, .com, .org, .net and .gov are top-level domain extensions. Domains are governed by a Domain Name Registrar. The registrar is like the real estate agent for a rental property. Provided your domain name (or ‘property’) of choice is available, it can be registered (or ‘rented’) for as long or as little as you need. Once you have registered a domain, it is yours to keep for as long as you continue to pay your registration (or ‘rent’). Domain registration is imperative before you can build a site and start directing traffic to it. If visitors don’t know where to go, they won’t be able to find you. Domain name registration is the first step to being able to provide visitors with your online destination. Can someone else use my domain name with a different extension? Yes. If you are a large business with substantial equity to protect, you may choose to invest in all or most of the top-level real estate on your chosen ‘street’ in order to protect your brand. This involves registering multiple domain extensions for the same domain name, ensuring that no other business can threaten your online brand by registering your domain name with a different extension. Can I buy a domain name that’s already taken? The short answer? No. If someone else has registered the domain name (with the extension you want) and wants to keep it, it’s theirs. However, by using a WHOIS lookup search, you can find out who the owner is and make an offer on their registered domain. If you don’t want to make contact yourself, you can also hire a broker to negotiate with the owner for you. While this incurs an extra fee, it is often worth their expertise and the time you save, providing a safer alternative as privacy is ensured. Web hosting is completely different to your domain name but the two are usually paired together, which is why they are sometimes confused. Web hosting is a service that allows you to post your website on the internet. It is essential when building an online ‘home’ as it’s where your website is stored for access by your visitors. Think about your PC. When you create a document on your computer, you store all the files on the hard drive to be accessed at any time. A web page is just like a file on your laptop – it needs somewhere to be stored in order to be called up at any point. Web hosting is like a hard drive for your website. All the files are stored in one place (a server) that’s open for anyone to access using your domain name. 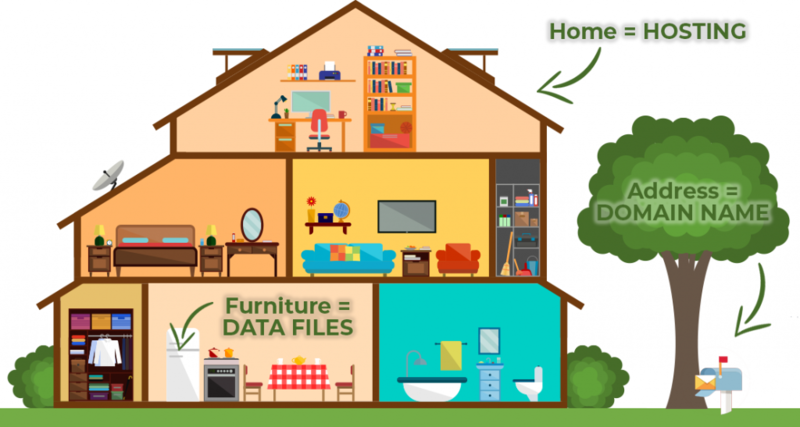 To use the home analogy again, if your domain name is your address, your web hosting is the space within your home where you store your ‘furniture’ (or files). Instead of brick and mortar to hold your belongings and keep them safe, hard disk space and computer memory are used to store your files. You need a domain name to purchase web hosting, but you don’t need web hosting to purchase a domain name. However, for practical reasons, you’ll want to have your domain hosted. You could technically host your own website on your personal computer using your home internet connection to serve the pages to visitors; however, it’s not likely to be powerful enough for multiple users to access simultaneously. Web hosting provides a steadfast connection between the user and your site to allow numerous visitors access. If you’re ready to put your business online, take the first step with Melbourne IT and purchase your domain name and hosting all in the one place. Make a purchase online today or chat to one of our Online Solutions Providers today about securing your domain and hosting. Need help with web design? We can help you there, too. Get in touch to see how we can help your business go from zero to hero online this year.